Choosing the right school for your child is not an easy decision, especially during those early education years. The education and development of our students in a safe, well-structured Christian environment is important to us. Our Lady of Bethlehem continues to advance in curriculum and assessment as well as provide comparative excellence in education and staff. Our Lady of Bethlehem’s offering focuses on children ages six weeks through Kindergarten, and maintains a high teacher-to-child ratio. Your child grows so much during the birth to five year developmentally, socially, intellectually and spiritually. See why we are the right place for your child and the benefits of keeping your child at Our Lady of Bethlehem through Kindergarten. We also offer flexible before and after school care for those busy parents! 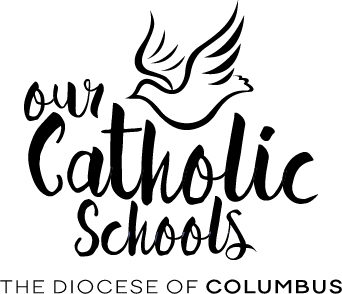 Our Kindergarten students are also the only Kindergarten students who take the TerraNova in the Columbus Diocese. Our students surpass and succeed every time. 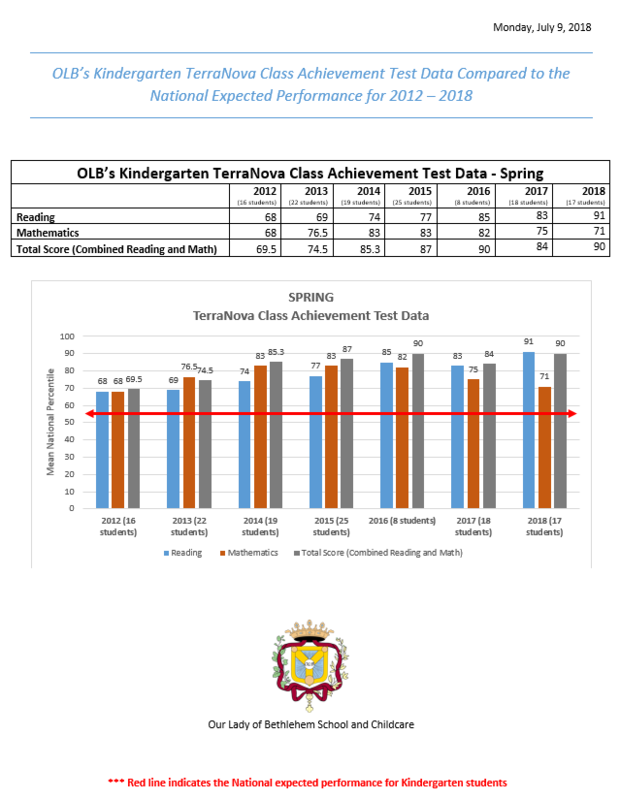 See the charts below that shows the TerraNova scores of our Kindergarten class in comparison with the National OPI and the comparison between Catholic and Public, provided by the Columbus Diocese. Click to schedule a tour to check out our Kindergarten and other school programs today! Our Lady of Bethlehem adheres to Diocesan Policy 4110.0 regarding background checks. -All volunteers must have on file a BCI background check and must attend “Protecting God’s Children” no matter how much or how little contact they have with children or youth, no matter if volunteering for the school or parish, and no matter what time of the day or night they volunteer.